How to ‘Frame’ your Photos Without a Frame Using ArtResin. 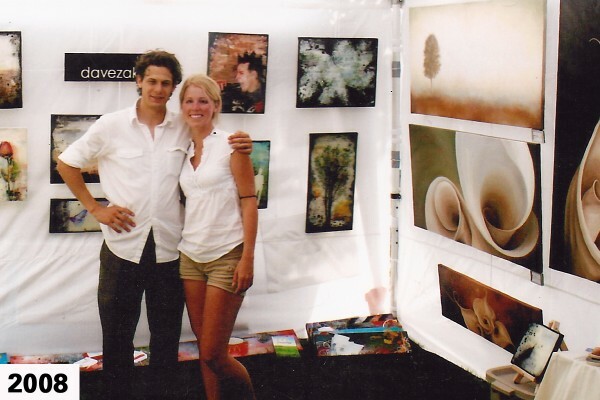 ArtResin was developed by Rebecca and her husband David, to address a need for photography lovers who wanted to preserve their work in a safe and easy to use manner. Little did they know they were also solving professional and everyday hobbyist’s need to preserve their work, in many other categories, all in a VOC-free, no fumes, non-flammable and low odor resin. 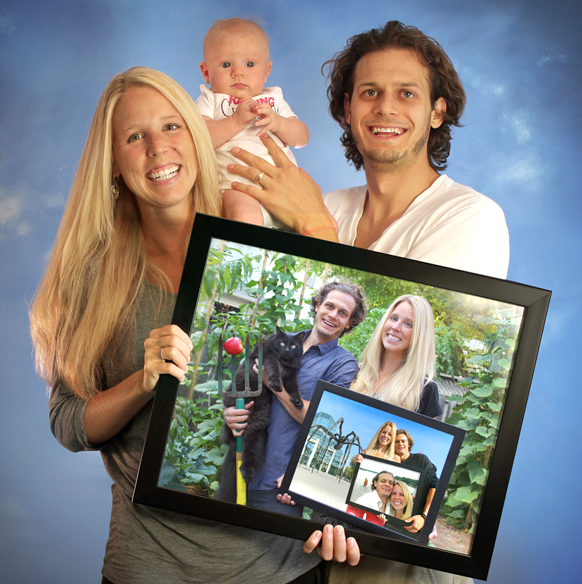 I’ve always loved photography, but I haven’t always loved framing options. It never made sense to me to spend so much creative energy on my shot if I was only going to draw attention away from it with the frame. Then about ten years ago I discovered epoxy resin for my photos—that thick, glossy topcoat that has since become so trendy. This was round about the same time as I met my husband Dave, another photographer-artist. I’ve always loved Dave too… but I can’t say the same for the resin. Back then resin was produced solely as an industrial adhesive; it just happened to have a sleek look to it. As as result, artists like Dave and I were keen to capitalize on this aesthetic side effect. The problem with it being an industrial product was that it was hard to source, its toxic fumes gave us headaches, and worst of all, it discolored our work over time. 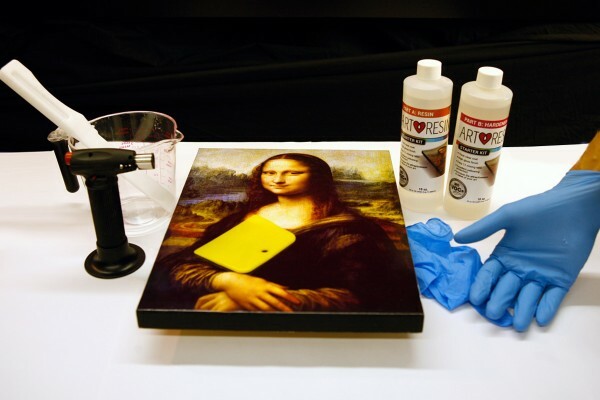 We were completely disappointed because we saw the potential in resin to greatly elevate the perceived value of our work; it was easy to DIY yet it looked like an expensive professional application. It was totally impressive—that is, until it went yellow. Unacceptable. So we did what creative people do: we problem solved. For the better part of a decade, Dave and I have sought to develop a resin that was perfect from an artist’s perspective and did not have the performance limitations the others were notorious for. 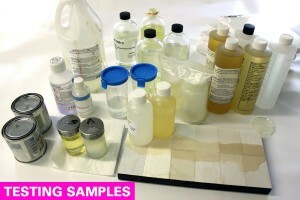 We sampled product from chemists around the world… India, South Africa, China, the UK, the United States, and Canada. Most were terrible despite their best efforts. All we wanted was a crystal clear resin that was safe and easy to use. It turns out it’s very difficult to get all three of those requests in one formula. And then… it happened! One day last February, we received a sample from a chemist in Texas that we had built a relationship with over the years. We mixed equal parts of the two-part formula together and spread it over a test photo. Unlike usual, we didn’t need a respirator to apply it. This resin was what he called a “clean system”, meaning there were no solvents or non-reactive diluents. Everything in the product reacts, so there were no harmful VOCs released into the air; nothing that could irritate the lungs or skin. Many curatives have a very powerful odor to them, but this product had virtually none. So far, things were looking good: it was easy and safe to use, but the real question was whether it would stay crystal clear. If I couldn’t be sold on framing because I felt it detracted from my work, you can imagine how critical it was that the resin remained as clear as glass! From the get-go this resin was already showing evidence of being different. In the bottle, the hardener (part B) was the clearest we’d ever seen out of all the hundreds of samples we’d tried. Like many resins out there, it contained a UV stabilizer to protect against the damaging (i.e. yellowing) effects of UV light. But this product contained something else too: an additional additive called HALS (hindered amine light stabilization) for superior yellowing protection. HALS works by inhibiting UV light-induced reactions that lead to degradation. So it was a fact that this resin would not discolor our work the same way the others had; it was coded in its chemistry. 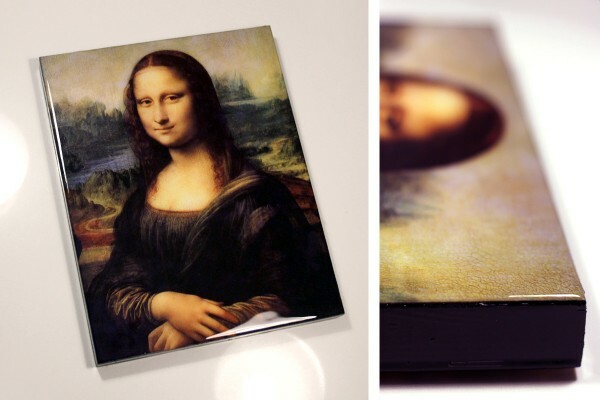 We allowed the resin on our test photo to cure overnight and returned the next morning to find a beautiful result: a clear, thick, glossy, rock hard, durable finish that had transformed our print into a product of professional photography. We were sold. ArtResin hit the market in March. From day one of our launch, we received orders from photographers and artists worldwide. 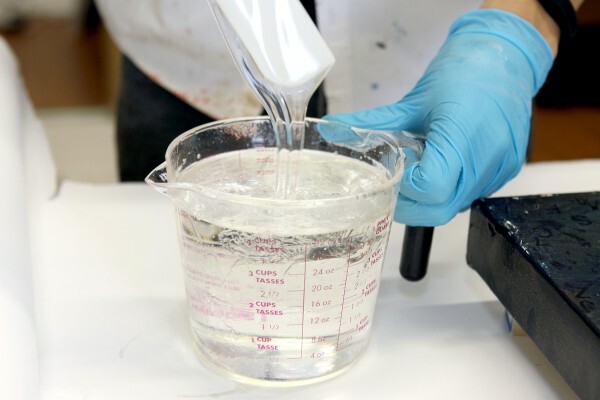 Unlike most resins, we are actually able to ship our resin overseas; because our formula has no VOCs it is not classified as HAZMAT and therefore not restricted. 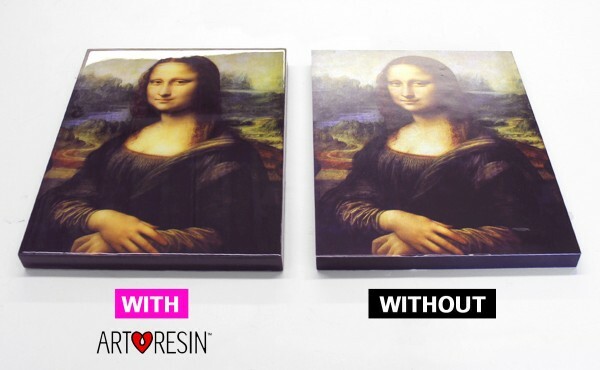 Our website, ArtResin.com, is host to a wealth of information, such as how-to videos, a huge FAQ, and a resin calculator tool to help determine how much resin you’ll need. Honestly, the coolest part of our business has been getting to know our customers (in a virtual way) through their work that they’ve posted to Instagram, Facebook and such. It’s so true that better materials lead to a better product; this was the case as we were developing ArtResin, and it is equally evident in the results our customers are getting. I just love being involved with, and inspired by, creative folks as part of my day, every day. In fact, I think I’ll always love that. 1. Position and clamp your print to the wood panel. 2. 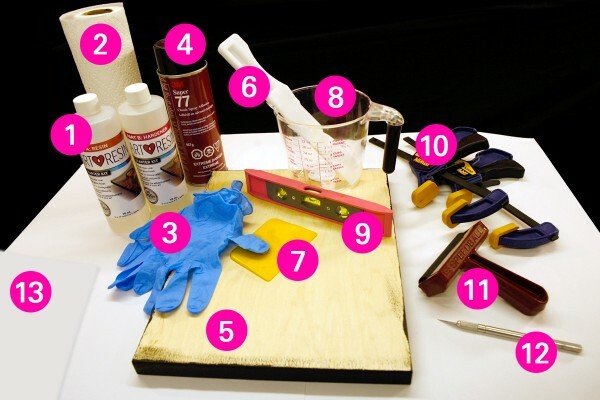 Curl up the loose side of the print and use spray adhesive on the wood panel. 3. Gently place the print back down and cover it with the large sheet of paper. 5. Remove the clamps and repeat steps 1-4 on the opposite end of the panel. 2. With gloves on, measure equal amounts of both parts together in a mixing container. 3. Stir very thoroughly for three minutes. the resin run over the edges (don’t forget to spread the resin here too). definitely effective, but not necessary. it to dry and 24 hours later your piece will be transformed from standard to stunning! 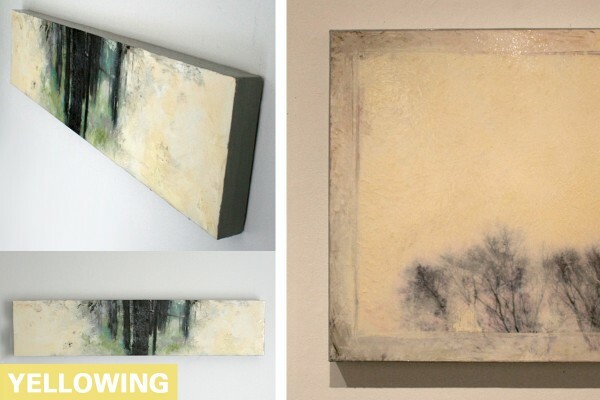 Rebecca Zak, PhD, is an artist, entrepreneur and post-secondary art education instructor. She and her husband are co-owners of ArtResin. 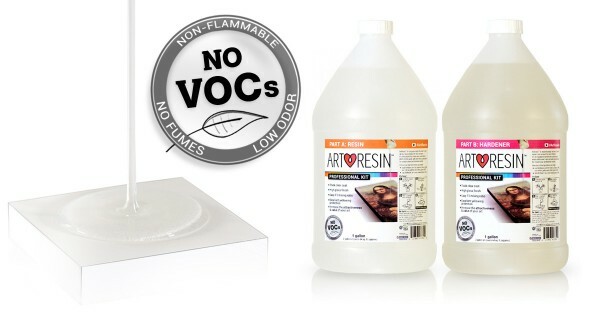 1 Comment on "ArtResin: VOC-free, No Fumes, Non-Flammable and Low Odor Art Resin"